Am I Committing a Crime by Being in the U.S. Unlawfully? In testimony against Florida House Bill 83, which would increase the punishments for certain felonies committed by undocumented immigrants within the state, Ingrid M. Delgado of the Florida Conference of Catholic Bishops stated that “Unlawful presence is not a crime. It is a civil violation,” as reported by Politifact. Her comments spurred a counter response by Representative Jennifer Sullivan, R-Mount Dora, who stated that, “we’re talking about people who are here illegally. That means that, legally, they are breaking the law.” But is this actually fact, or political opinion? In 2012, the Supreme Court ruling in Arizona vs. United States found that, “as a general rule, it is not a crime for a removable alien to remain present in the United States,” as reported by Politifact. 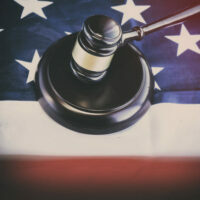 Experts, such as Ilya Shapiro of the Cato Institute, affirm that not every illegal act is a crime, such as getting a parking ticket, and that unlawful presence falls under this category. Unfortunately, you do not receive a ticket for being in the U.S. unlawfully; you get deported. However an undocumented immigrant should not expect jail or prison time, a large fine, or a criminal record just for being in Florida unlawfully. After passing through the house via party lines, with republicans in support and democrats against, the next step for House Bill 83 is judiciary committee. If the bill eventually becomes law, it would increase the penalties of certain violent crimes for non-U.S. citizens who are in Florida unlawfully. The offenses that would stand to have heightened penalties for aliens include sexual battery; throwing, placing, or discharging of a destructive device or bomb; murder; armed burglary; and aggravated assault with a deadly weapon. A misdemeanor of the first degree would, if this bill becomes law, be heightened to a Class 4 felony for an undocumented alien. A Class 4 felony would be heightened in a Class 3 felony, a Class 3 felony would be heightened to a Class 2 felony, and so forth. This bill, by drastically increasing the punishments associated with certain felonies, would mirror the warping political mindsets of the white house, senate, and many state governments by furthering the discrimination against immigrants and undocumented refugees. If you are an undocumented immigrant and have been charged with any misdemeanor or felony, do not hesitate to contact a lawyer at once. We encourage you to call the West Palm Beach law offices of the Skier Law Firm today at 561-820-1508 if you have been charged with any type of crime, whether you are an undocumented immigrant or a lawful citizen. You deserve experienced, passionate legal representation and lawyers who will fight for you every step of the way. Call us today for assistance.